A few steps from the beach, casino and shops, the Pierre & Vacances Les Rivages du Parc residence occupies an ideal location, perfect for exploring the pedestrianised streets of the old town just minutes away (on foot). This modern residence is set in the tranquility of a small park with newly renovated air-conditioned apartments. A number of activities are available both in the residence and local area: Give yourself over to the sun and enjoy some sunbathing on the beach, directly accessible on foot from the residence. 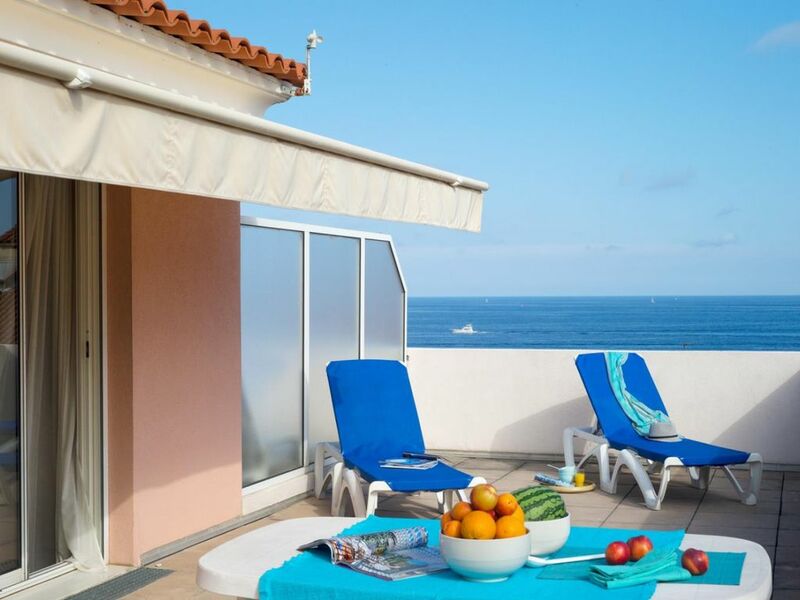 Enjoy the benefits of the sea at the Thermes Marins de Monte-Carlo - sailing and windsurfing plus tennis, mini-golf, swimming pool... Multiple tours of Riviera Menton: the breathtaking sea views from Castellar, the medieval villages of St Agnes and Roquebrune-Cap-Martin. Menton: a seaside resort with a pleasant microclimate, situated between Monaco and the Italian Riviera. A recently refurbished residence, in a modern architectural style, in the centre of a small park. 50 meters from the beach and close to shops and activities. Living room with 1 pull-out sofa bed 1 sleeping area (separated from living room by movable partition) with 1 pull-out bed or 1 bunk bed. Note: All located from second floor up, facing west (park side) or south, with balcony. Note: Bed height not suitable for children under 6 years of age. Decree No. 95 949 of 25/08/1995. Within the vicinity of Italy, the Principality of Monaco and the county of Nice. The residence is nestled between the shimmering sea and majestic mountains. Boasting 7 spectacular gardens, Menton is also an open-air greenhouse. With its markets and casino, the "town of lemons" is lively year round, just like neighbouring Monaco.